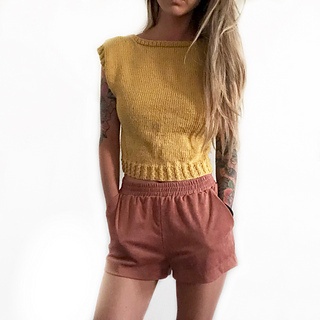 The Beverly Knit Set is a fun and flirty coordinated outfit and features a crop top and high waisted mini skirt with faux cable ribbing and stockinette stitch. Top is knit in the round from bottom up with panels separated at the underarms and knit flat. Shoulders are seamed using 3-needle bind off technique. 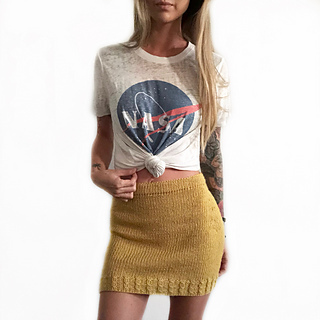 Skirt is knit in the round from top to bottom, and length is customizable to your style preference.